This recipe will show you how to go about creating a horizontal bar chart using Python. Specifically, you’ll be using pandas plot() method, which is simply a wrapper for the matplotlib pyplot API. 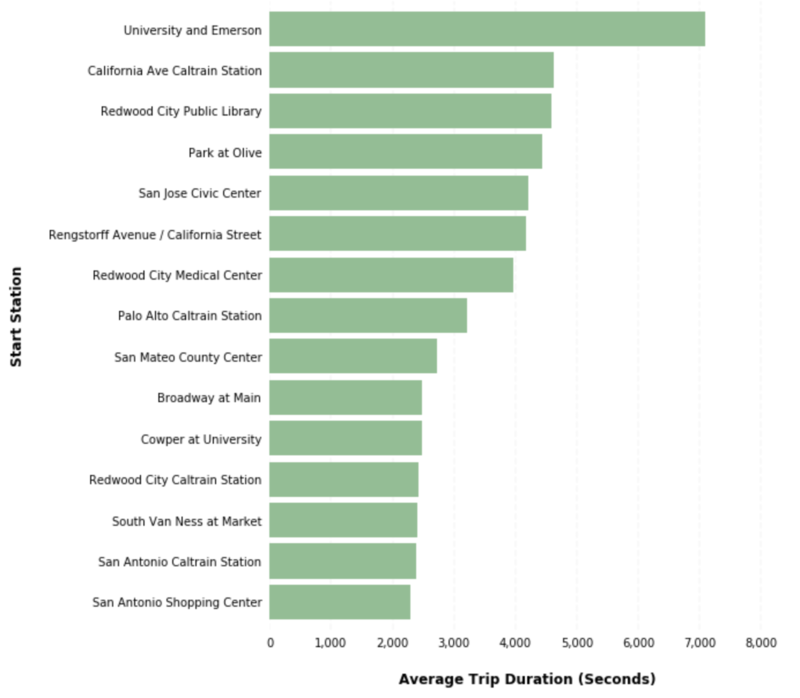 We now have a new dataframe assigned to the variable x that contains the top 15 start stations with the highest average trip durations. Now that we have our dataset aggregated, we are ready to visualize the data.